How much food do you throw away each year? If you live in an average American household, the answer is $640 according to a study by the American Chemistry Council. Other surveys have resulted in much bigger estimates, up to $2,200 in food waste per family annually. Either way, that’s a lot of wilted produce, expired dairy, and leftovers winding up in our nation’s landfills each year. And a whole lot of wasted money to boot. Fortunately, BigOven is here to help. 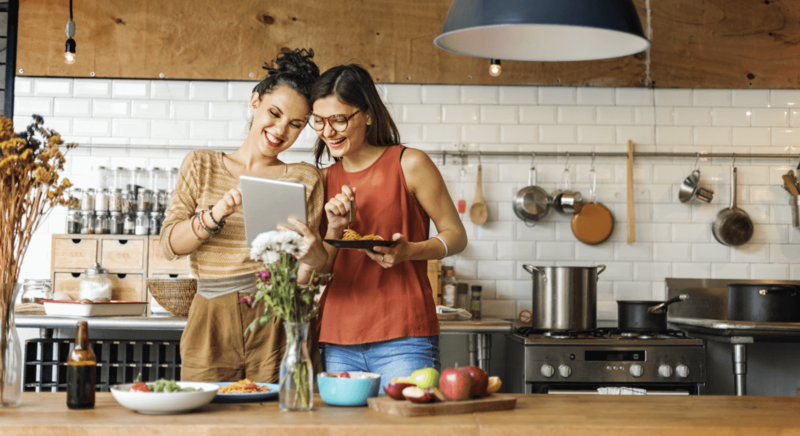 With more than 3.3 million registered users, 13 million downloads, and 350,000 public recipes, it has become an essential tool for home cooks who want to get inspired and organized in the kitchen. RewardExpert recently spoke with Meliza Afable, director of product, about BigOven’s origins, features and future. “Our story started with a frustrating grocery run by our founder and CEO, Steve Murch, in 2002,” Afable recounted. “Steve found himself in the produce aisle at his local grocery store, holding a jumbled list of items on multiple post-its his wife had given him. He had forgotten items on two previous trips, and he was back in the store again. As he was combing through the aisles, he was wondering if there was a way technology could solve this grocery issue. Could a mobile device help him keep his grocery list sorted by aisle, plus look up his family’s favorite recipes, and save time?” That’s where the idea for BigOven began. Since its inception, BigOven has evolved into a complete home cooking tool that streamlines the entire cooking cycle from recipe discovery, grocery list creation, and list sharing to planning, shopping and organizing. Every day it helps members save time and money in the kitchen. BigOven offers both free and pro memberships that home cooks can access through their PCs or the BigOven mobile app (available for iPhone, iPad, Android, Kindle Fire, NOOK, Windows Phone). Both memberships allow users to search more than 350,000 recipes or browse them by course, ingredient, or equipment required. Free and pro members can also save recipes to their digital recipe box (limited to 200 for free memberships), scan hard copy recipes (three for free memberships, 25 for pro memberships), create shared household grocery lists sorted by aisle, and sync BigOven between devices so they can take their resources anywhere. One of Afable’s favorite features enables users to create new meals using the leftovers they have available. Members can enter three ingredients they have on hand and BigOven will provide recipe recommendations accordingly, helping home cooks reduce their household food waste. Users who choose to make a one-time payment of $79 for a BigOven pro membership enjoy additional features and benefits. These include an ad-free experience, the ability to create custom folders and meal plans, access to specially curated collections, detailed nutrition facts, and enhanced search filters. Pro members also have the ability to customize recipes in their digital recipe box and add private notes. The recipes on BigOven are all user-generated. “Cooks from all over input recipes into BigOven, which are then curated by our editorial manager,” Afable explained. She also noted that the company values their home cook members and is always eager to learn more about what they want and need for a better cooking experience. “We have several things in the works based on some great home cook feedback,” she said. “We look forward to unveiling them soon.” To learn more about BigOven, sign up for a free membership, and download the mobile app, visit www.bigoven.com.